Folk revival has been going strong in 2013, with Austin’s Wild Child remaining one of the genre’s bright acts. After a couple late-night show and NPR performances, the band will bring all their charms to The High Watt tonight. The show gets started at 9 p.m. with Girl in a Coma‘s Nina Diaz and Holiday Mountain. You can snag tickets for $12 here. Learn more about this gig after the jump. 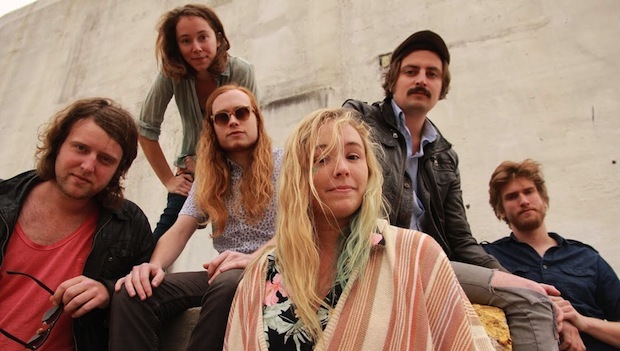 Blending amiable folk, cute pop, and quirky gypsy melodies, Wild Child released their sophomore effort The Runaround in October. Ben Kweller works his magic as producer, basking these tracks in a bright glow. See why the band is SXSW 2013’s “Best Indie Act” & “Best Folk Act” by watching their lovably bizarre video for “Crazy Bird” below. Holiday Mountain is a dynamic pysch-dub pop trio based in Austin, TX. They’re like a more melodic Major Lazer, with less cartoon butts and explosions. Wild Child, Nina Diaz, and Holiday Mountain will perform TONIGHT at The High Watt. The show is 18+, begins at at 9 p.m. (doors at 8 p.m.), and tickets are available for $12.